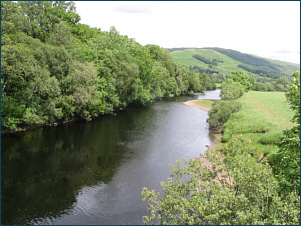 The largest of Scotland's salmon rivers, the Tay drains an area of about 2500 square miles and is approximately 120 miles long. 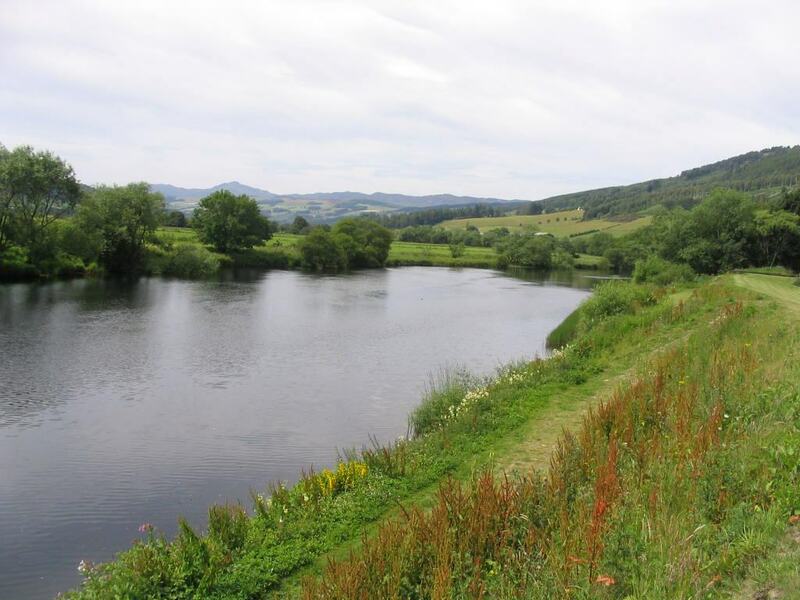 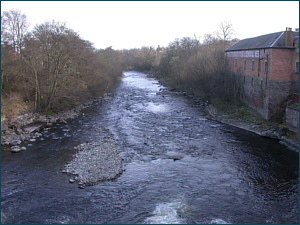 It is a big river, particularly in its middle and lower course below its confluence with the River Tummel. 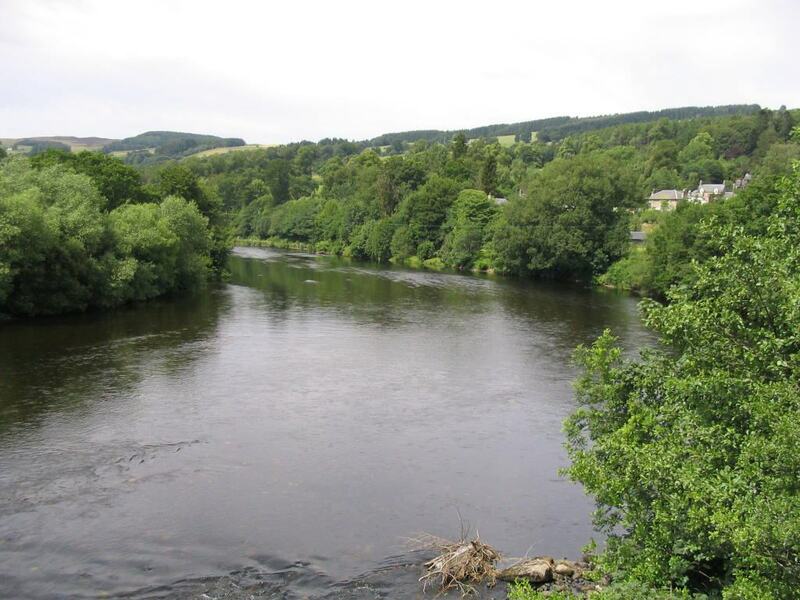 The Tay fishing is not what it once was but can still produce somewhere in the region of 10,000 salmon in a season. 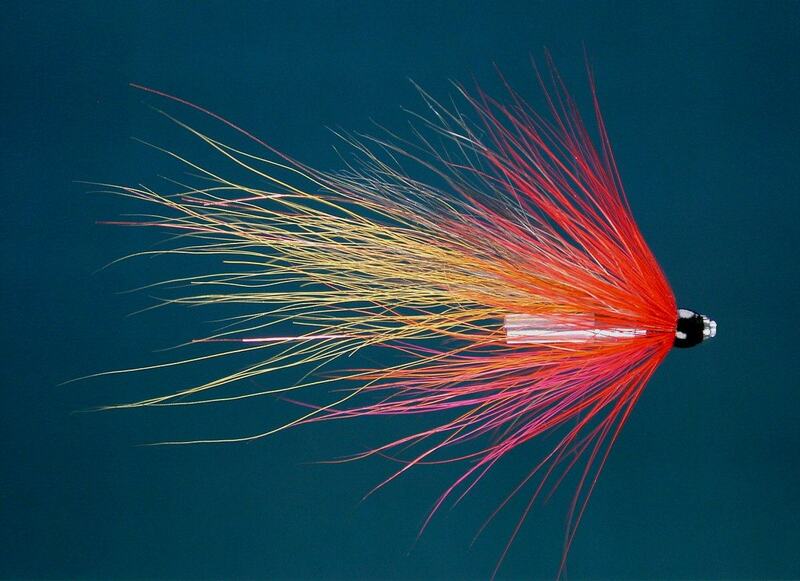 Much of the fishing, on the middle and lower beats in particular, is done with the spinning rod. 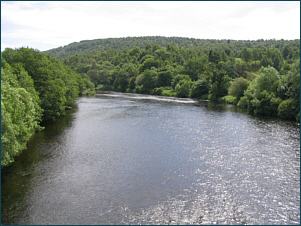 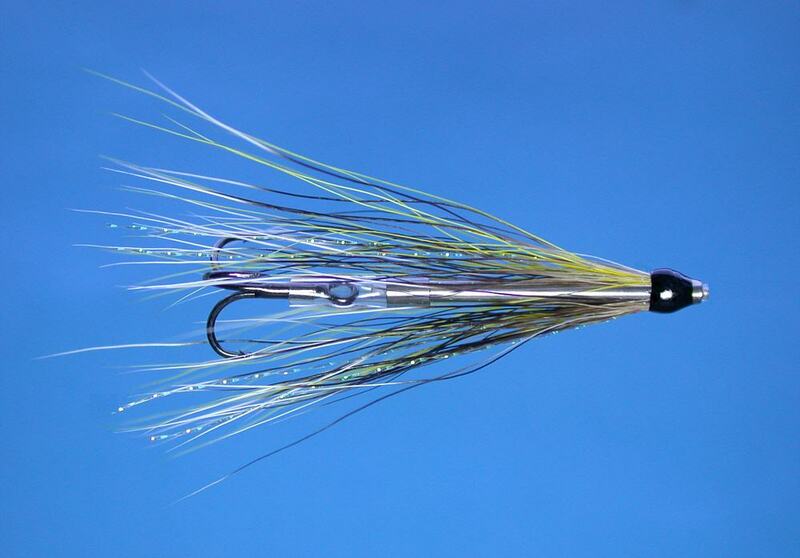 An alternative to spinning is harling, a method involving the use of a boat to swing large flies on sinking lines across the wide Tay pools. Some of the lower pools might be covered, in lower water in summer and autumn, by a competent fly fisherman wading deep and speycasting a long line on a seventeen foot rod. 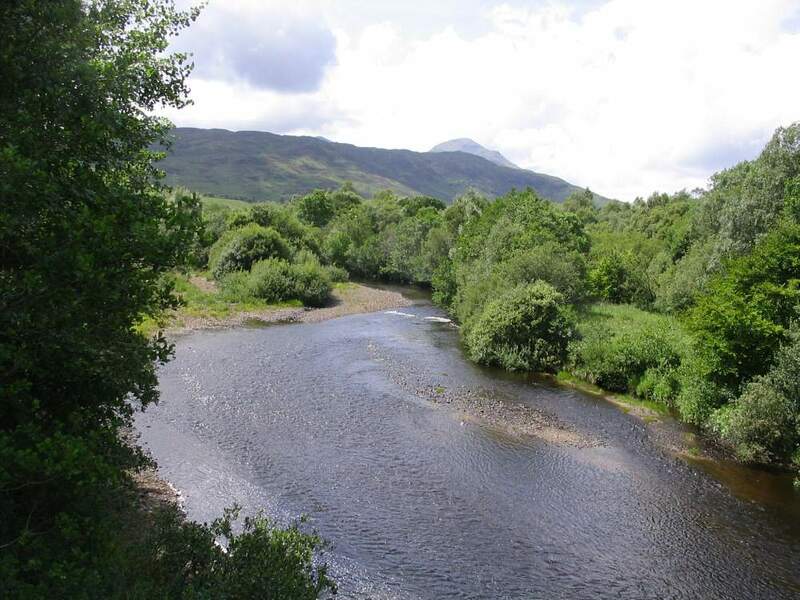 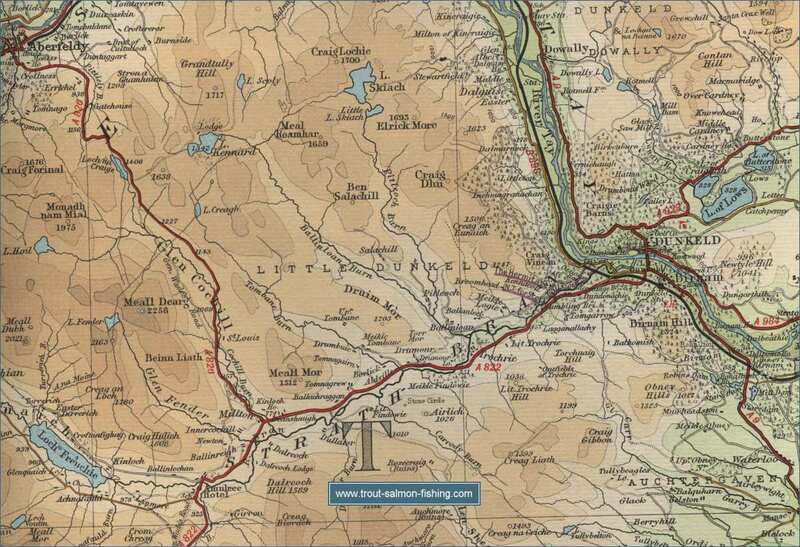 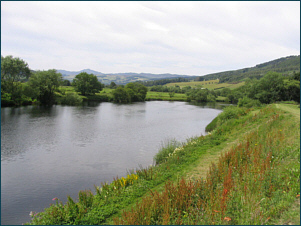 The upper river, above Ballinluig, is naturally smaller and more suited to the fly rod and might be covered effectively with a fifteen footer. 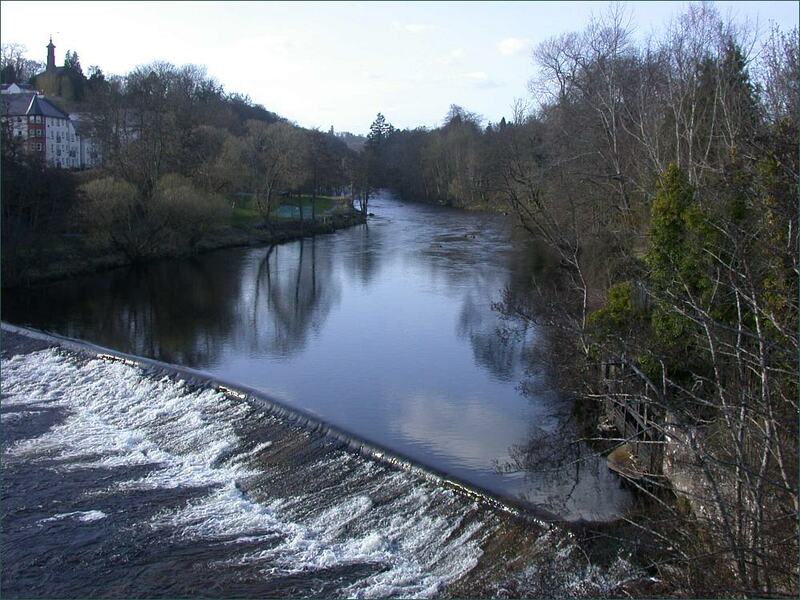 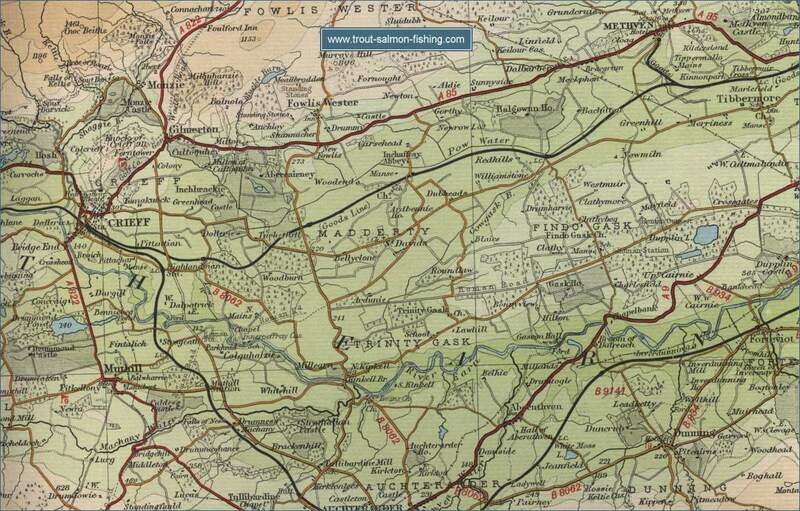 Traditionally The Tay spring salmon run was renowned wordwide, for numbers and size of fish. 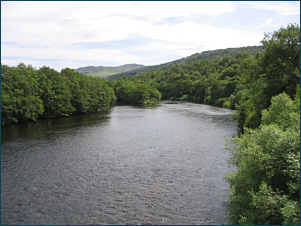 Loch Tay fished well from January to March, as did the upper river, which also fished well in the autumn months of September and October. 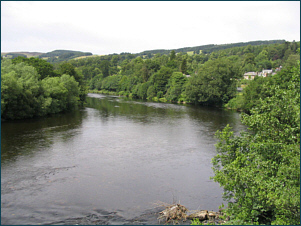 The middle river produced fish from January to March and again in September and October, while the lower Tay produced spring fish from January to May and again at the back end. 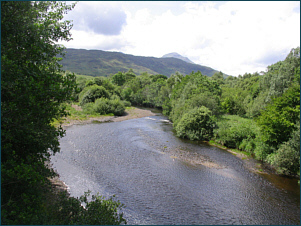 Sadly, the spring fishing throughout the system is a shadow of its former self and by far the bulk of the salmon are taken at the back end of the year, with August to October the best months. In recent years the netting operations on the river have been bought out and there are hopes that the Tay fishing, particularly the spring fishing, will improve after many years of decline. 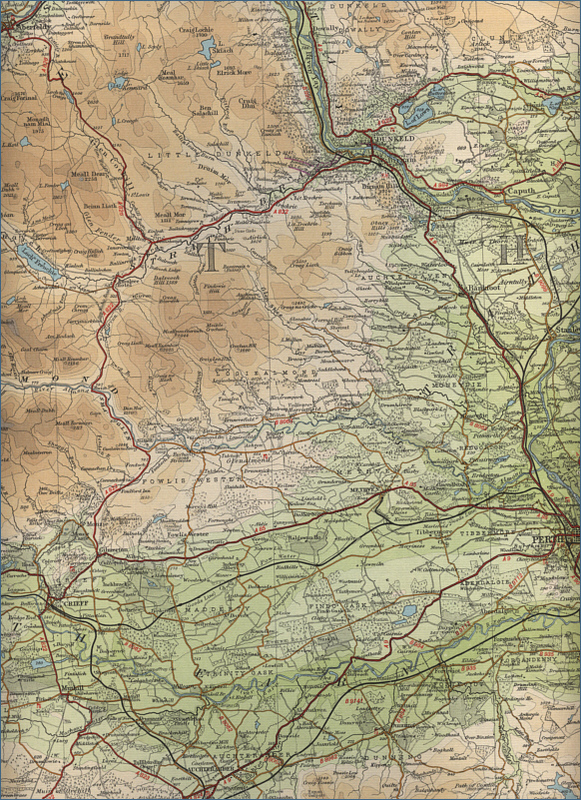 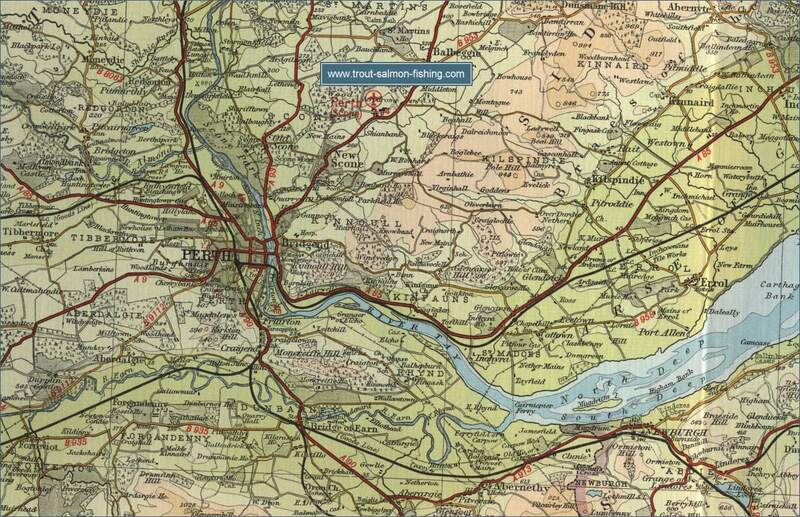 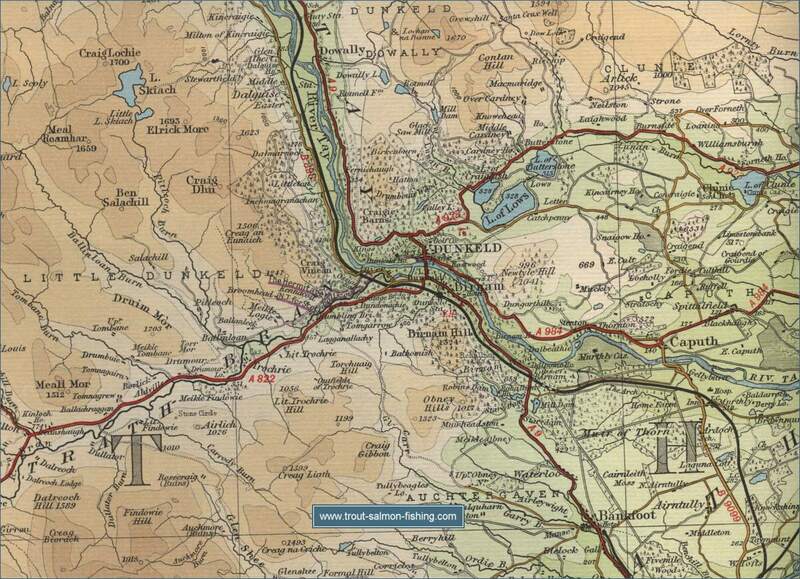 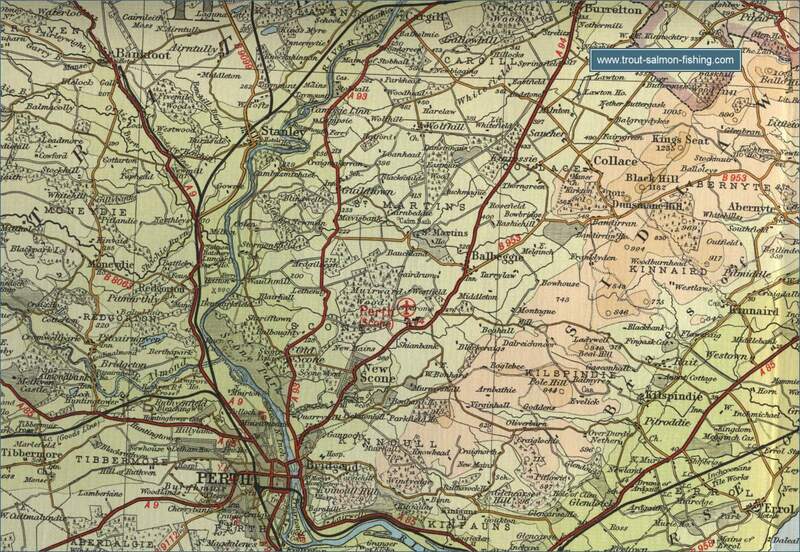 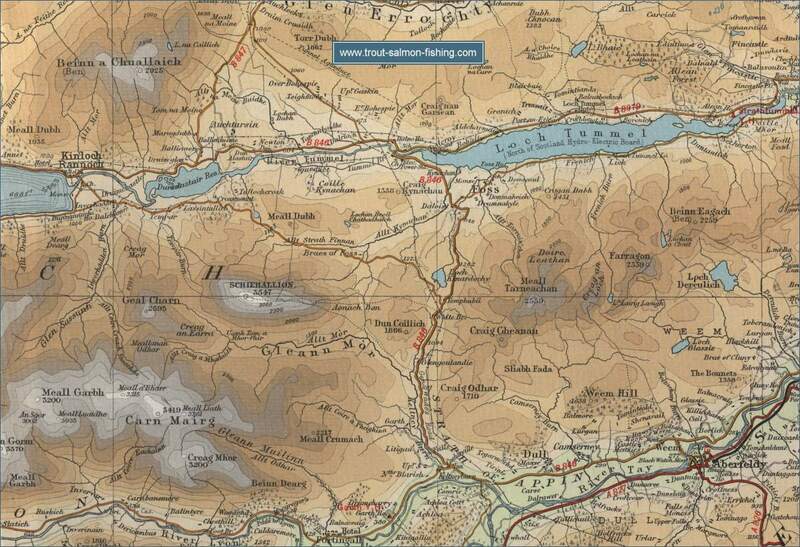 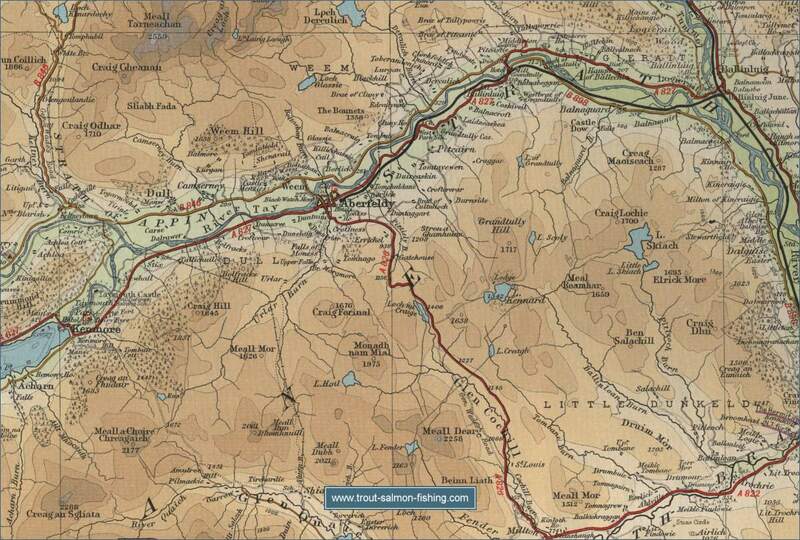 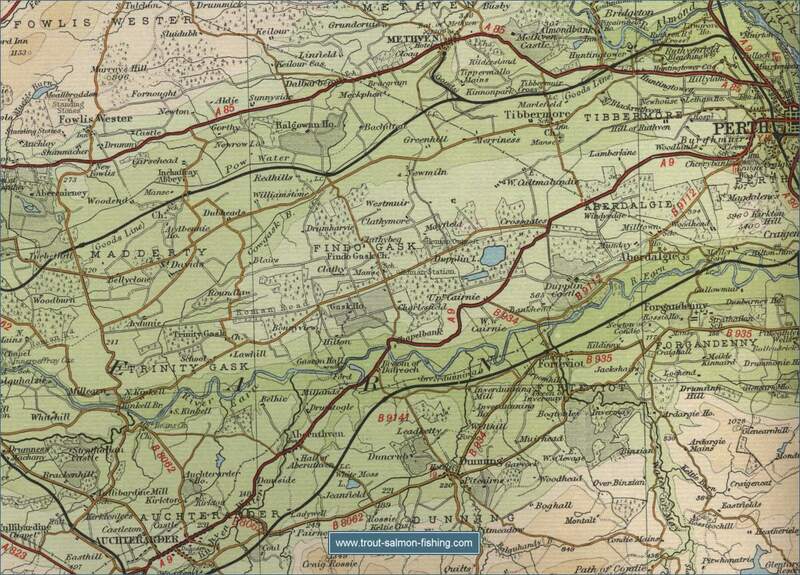 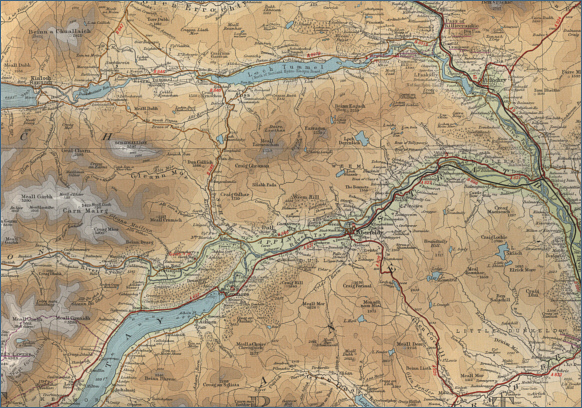 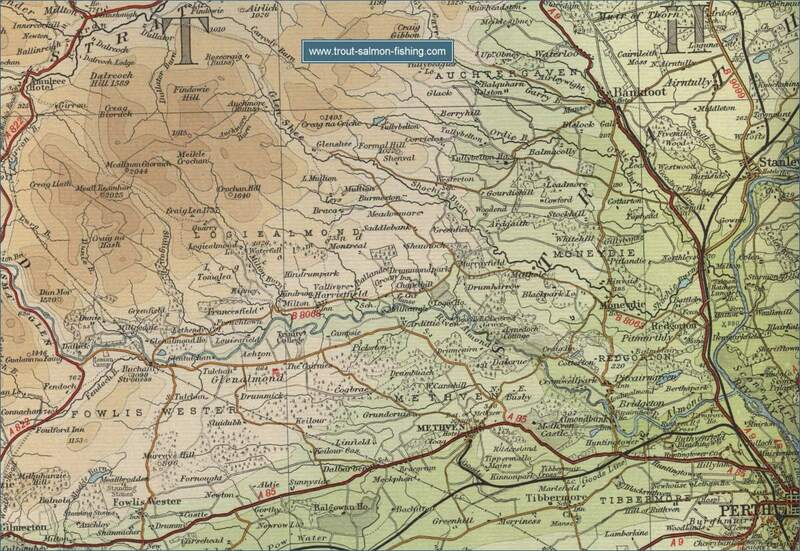 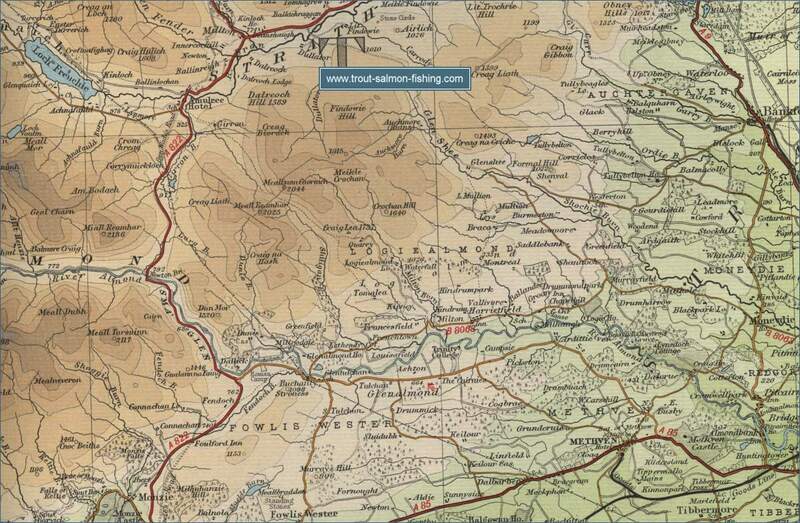 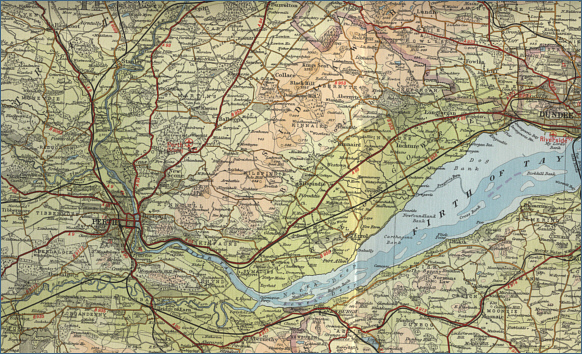 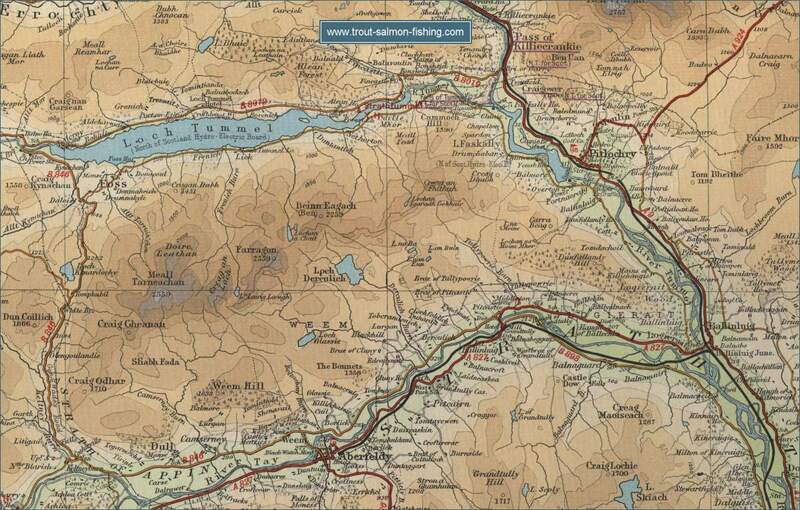 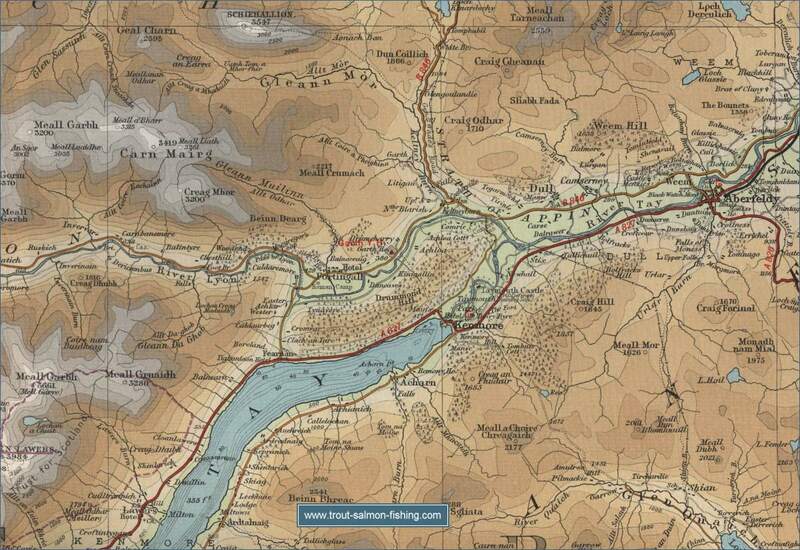 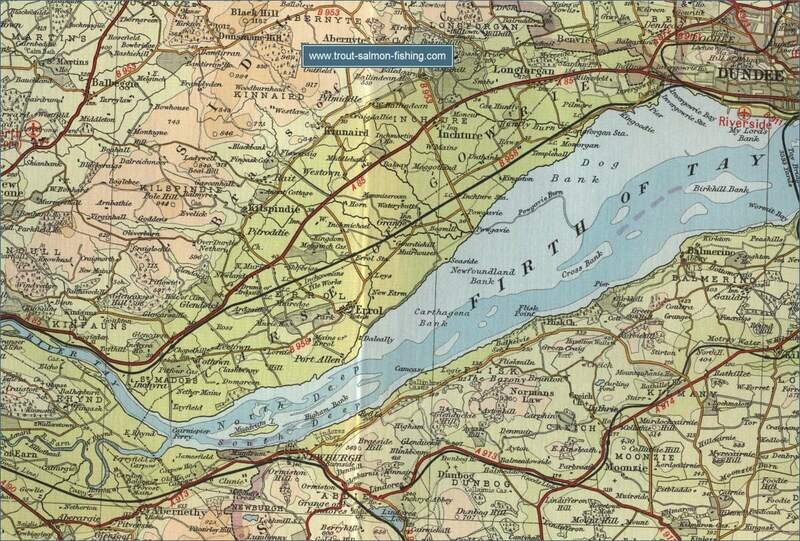 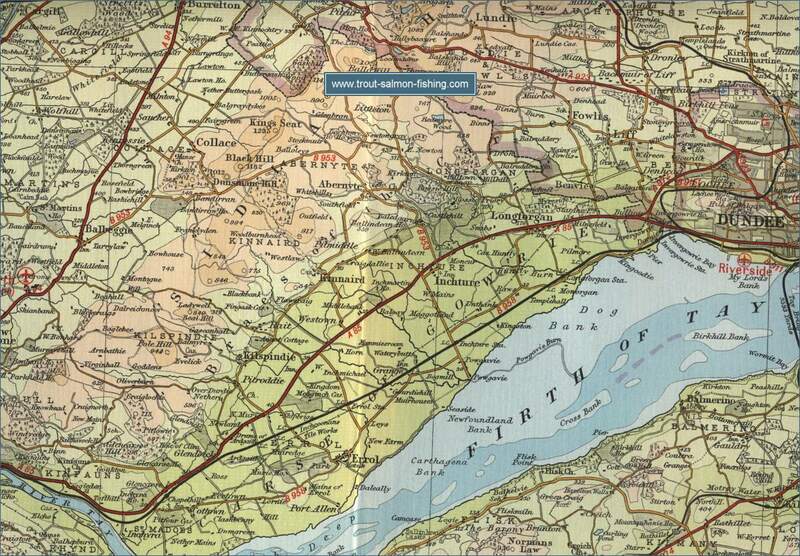 To view a larger scale map of a particular section of the River Tay, click on a selected area of the maps below.